Although most prescription medications are safe for use, some patients have an abnormal immune system that reacts poorly with certain drugs. 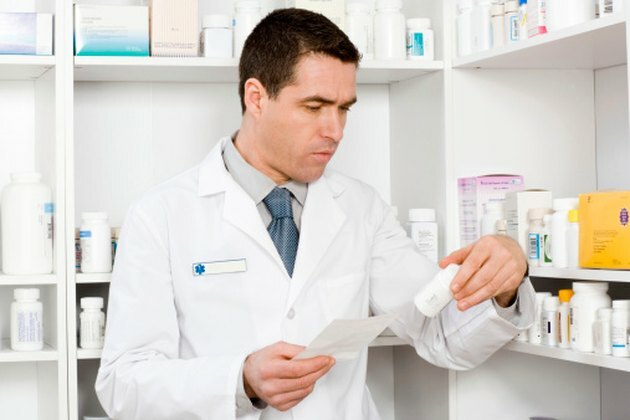 Patients who have a sulfa allergy, for example, should not take the medication Bactrim DS because they will develop an allergic reaction to one of the compounds found in this commonly prescribed antibiotic. Bactrim is a commonly prescribed antibiotic which is a combination of two different drugs: sulfamethoxazole and trimethoprim. This combination of antibiotics, according to Medline Plus, a website of the National Institutes of Health, is often given for infections of the ears, urinary tract, intestines and lungs. An allergic reaction to Bactrim DS often manifests itself as itching, hives or a rash, Drugs.com explains. Patients may also experience swelling of the face, lips and tongue and may develop trouble breathing or swallowing as a result of the airway swelling. Some patients may also develop hoarseness. In extreme cases, the airway may close entirely which is a medical emergency. One type of serious allergic reaction to Bactrim is called Stevens-Johnson syndrome, according to the Merck Manual. With Stevens-Johnson syndrome, patients develop a fever, headache and general fatigue as well as characteristic red bumps on their skin. After these symptoms, patients shed large sheets of skin off of their body, revealing bright red and weepy skin underneath. Stevens-Johnson syndrome is thought to be a result of drugs such as sulfamethoxazole being metabolized abnormally, leading to a dangerous allergic reaction. Patients who have an allergic reaction to Bactrim DS should stop taking the medication immediately. A severe allergic reaction that results in the airway becoming closed requires immediate medical attention and may be treated with an injection of epinephrine. Less severe allergic reactions should resolve once the patient stops taking Bactrim, though antihistamines can be taken for symptomatic relief. Patients who have an allergy to Bactrim may be allergic to sulfonamides, the Mayo Clinic notes. Sulfamethoxazole and sulfisoxizole, which are both sulfonamide medications, should be avoided in patients with this kind of allergy. Patients should also not take sulfasalazine, which is used for Crohn's disease, and dapsone, a leprosy medication because they are likely allergic to these drugs as well. Patients should also notify their doctor about their allergy before taking diuretics, diabetes medications, certain pain-relievers and migraine medications.